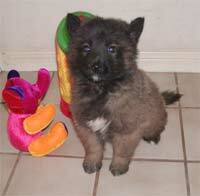 The Belgian Tervuren, which is sometimes spelled “Tervueren,” is one of the four varieties of Belgian Shepherd. 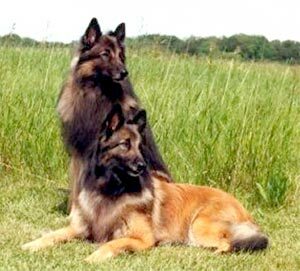 The Malinois, Groenendael (also called the Belgian Sheepdog), and Laekenois are the three cousins of the Tervuren. Although each dog has similar features, the four breeds of Belgian Shepherd have distinctive, individual coats. This makes them easy to tell apart if you know what to look for! 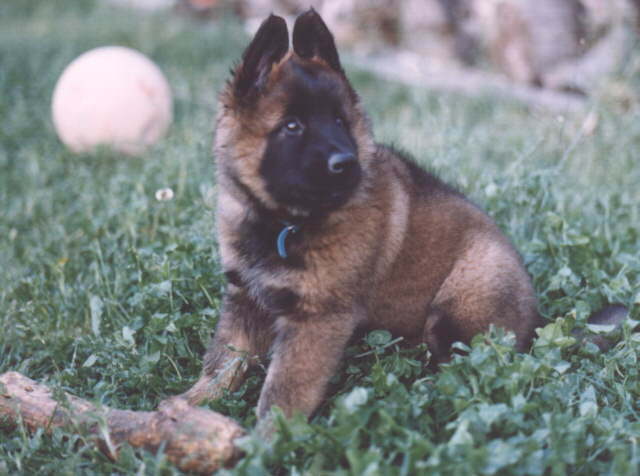 Belgian Shepherds have long, lupine snouts, high-set triangular ears, and round, dark eyes. The Tervuren shares those features, but has a longer coat. The only other Belgian Shepherd to sport a long coat is the Belgian Sheepdog, but the Groenendael is always jet black. 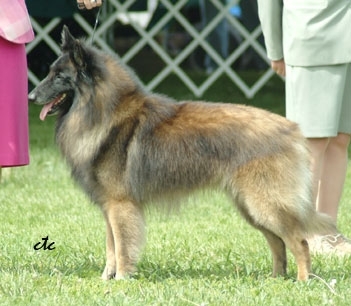 The Tervuren has two standard colors: fawn or red/mahogany with black markings. 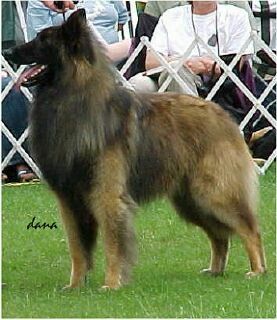 The Tervuren usually has a black mask around their face, with other black markings along the body. 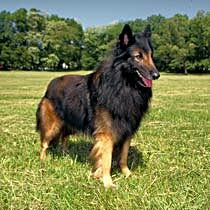 The Belgian Tervuren also sports a majestic mane of fur which reaches from their neck to forechest. This lion-like mane is called a collerette and is found on male Tervs. An elegant and muscular dog, the Tervuren is a natural-born athlete with a razor-sharp intellect. These traits make the Belgian Tervuren a popular and versatile working dog, in addition to an adored family pet. Fun fact: The Belgian Tervuren is one of many dogs that look like wolves! In fact, they were used in the 1984 movie The Company of Wolves in lieu of the real thing. Theyre often used as Search and Rescue dogs (SAR), traversing the snowy peaks of mountain towns to search for avalanche victims. As a family pet, the Tervuren needs adequate early socialization to combat the shyness that can be a characteristic of this breed. Introduce your Terv to many new people, animals, and situations as a puppy to avoid any anxiety as they age. If youre looking for a keen watchdog who will keep intruders at bay, the Tervuren is the perfect candidate. Your Belgian Tervuren is always silently monitoring slight changes to the sights and smells around them. This makes them adept at sensing when someone is outside your home or property, and theyll be the first to tell you about it! One look at the sleek and strong Belgian Tervuren is enough to have a potential burglar running for the hills. Theyre often confused with German Shepherds, who are famous for taking down criminals in one elegant leap. Although a well-kept Terv is a gentle and loving companion among his family, this courageous breed wont back down if they sense danger. Historically, the Terv has been used as a guard dog, a police dog, and a personal protection dog. But Tervurens are very even-tempered, even in a commotion. Theyre not likely to attack without a very good reason. Highly intelligent and eager to please, this Belgian Shepherd dog will bend over backwards to exceed your expectations. Whats your favorite outdoor activity? From hiking to herding and everything in between, the Terv really is a can-do doggy. The only caveat is, you need to be ensure your Belgian Tervuren gets the exercise they need. Otherwise, you might find yourself with a big dog suffering from cabin fever. A powerful mind and an abundance of energy can easily result in an anxious pup that is prone to separation anxiety and destructive behaviours, like chewing through everything in sight! A Belgian Tervuren needs a firm pack leader. If youre a novice dog owner, it might be advisable to stick to a more manageable breed. But if youre a weekend warrior who wants a dog who can keep up with your passion for the outdoors, you may find yourself completely besotted with the go-getting attitude that a Terv brings to your home! Consistent training from a young age is extremely important with a Belgian Tervuren. It will keep their mind stimulated and forge a deeper bond between you and your dog. Youll be consistently amazed at how responsive a well-trained Tervuren is to commands and gestures. If you enroll in a good canine citizen class, expect your Terv to be on the honor roll! However, this pup has a sensitive side, and they wont respond well to forceful or angry commands. Never use harsh or punishing commands with your Tervuren, as it could permanently damage the bond of trust that every owner should foster with their fur BFF. Instead, be a firm and kind pack leader, and youll be rewarded with an obedient, loving dog with impeccable manners. 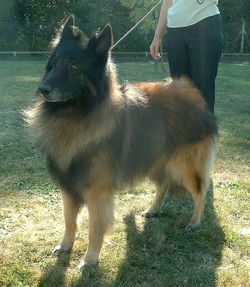 The Tervuren has a thick double coat and sheds a lot. Daily brushing is essential, and you can expect a Terv-loving home to be under siege by tumbleweeds made of hair! The male Tervuren sheds their full coat once a year, whereas female Tervs shed in between each heat cycle. Either way, expect a lot of fluff. Generally, the Tervuren is a healthy breed, but always discuss any potential genetic problems with a breeder before adopting a Belgian Tervuren puppy. Canine hip dysplasia (CHP), epilepsy, and gastric problems can be an issue for Tervs. 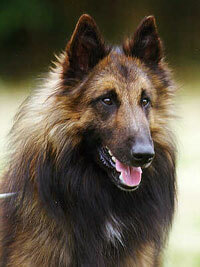 Belgian Shepherd breeders, along with veterinary professor Adolphe Reul, came together to research the various breeds. They found that all four Belgian Shepherds were essentially the same dog, just with different coats. To this day, the United Kennel Club recognizes the Malinois, Laekenois, Groenendael, and Tervuren as one breed the Belgian Shepherd whereas the AKC sees each variety (with the exception of the Laekenois) as an independent breed. 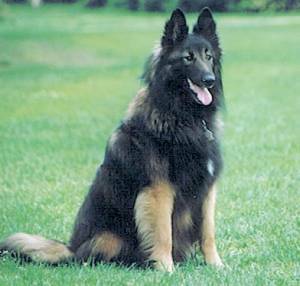 In 1892, Professor Reul wrote the first-ever breed standard for the Belgian Shepherd, but made a side note of the three varieties: long-haired Belgian Shepherds (the Tervuren and Groenendael), the short-coated Belgian Shepherd (Malinois), and the Belgian Shepherd with a wiry, coarse coat (the Laekenois). To this day, the differentiating feature among Belgian Shepherds remains their varying coat colors, lengths, and textures. In that same year, the Club du Chien de Berge Belge had a special competition just for Belgian Shepherds.Duc II (a Belgian Tervuren) won the inaugural Belgian Shepherd dog show. Early adopters of the Belgian Shepherd recognized that their intelligence and athleticism made them both a fantastic companion and working dog, and the Club du Chien de Berge Belge applied to Belgiums version of the AKC to register the Shepherd as a breed in the late 1800s. The application was rejected multiple times before the breed was officially recognized by the Societe Royale Saint-Hubert in 1901. 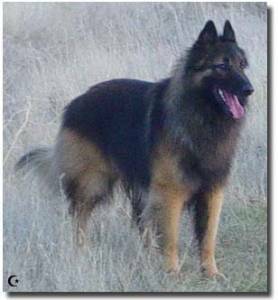 Each Belgian Shepherd variety was named by their breeder, and the first Tervuren was named after the hometown of M. F. Corbeel, one of the initial breeders of the Tervueren Shepherd that we recognize today. The first dogs were named Tom and Poes, and its believed that theyre the original ancestors of the Tervuren breed. Tervs gained in popularity during the first World War, as they made excellent war dogs. Courageous and intelligent, Belgian Shepherds worked in the battlefield as messengers, search and rescue dogs, and ambulance cart dogs. While the Malinois made their way to the USA after World War One, the Tervuren stayed in Europe until 1953. The Belgian Tervuren was eventually imported to America, and the American Kennel Club named it an official breed in 1959.